What better way to spend time in your favorite part of the house than sitting on a bench made by the artisans at Stromberg Architectural Products? Stromberg has benches that you can use to dress up your home’s entryway or place in front of a window to create a cozy place to curl up with a good book. Anywhere you’d like to provide seating or enhance décor, a Stromberg bench will fit in. 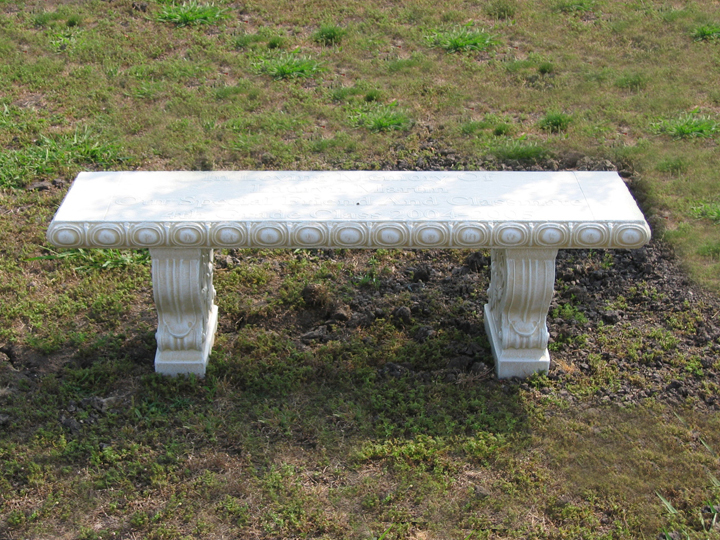 Stromberg’s benches in glass fiber reinforced concrete (GFRC) are well-designed and ruggedly built. Outside benches made of GFRC look good by the pool, in the garden, even in the sauna. You don’t need to be concerned about weather conditions; GFRC stands up to anything Mother Nature can dish out; it won’t rust, rot or crack. Stromberg can design your bench with any text or logo, as well as in a wide variety of textures and finishes. 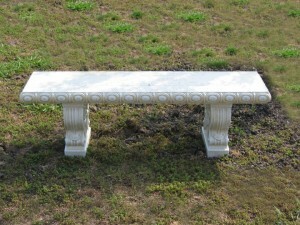 They can reproduce the look of marble, bronze, limestone or gold for your bench. Other options include having your bench made in an integral color or simple painted. Stromberg uses molds to produce your glass fiber reinforced concrete bench, so just about any design or pattern you can imagine is possible. GFRC benches work well in retail establishments, government buildings, and even churches. Anywhere you need a functional architectural element or you want to provide seating, a bench by Stromberg will encourage conversation and socializing. Stromberg has crafted benches for hotels, casinos and restaurants as well as for courthouses and banks. GFRC benches by Stromberg will provide that down-to-earth look and feel and are utilitarian as well. The high standards combined with attention to detail ensure your GFRC bench will stand up to the scrutiny of your guests and clients. Stromberg’s proven track record and 30 years of experience will produce a quality bench for your home or establishment. GFRC can be molded to have a handcrafted look. Glass fiber reinforced concrete is made of minerals and is a green product. The experts at Stromberg Architectural Products will collaborate with you on your GFRC bench and make sure it fits your needs. Stromberg is here to help with CAD details, design assistance and all specifications. Call them today at (903) 454-0904 and put their 30 years of experience to work for you.